– a Study of Some of his Sketches and Drafts’. Dr Vann holds 10 degrees and diplomas, mainly in music. In 1989 she was awarded a research Master of Music degree from The University of Queensland for her thesis on sketch studies for Wagner’s Siegfried. She then spent several years working on her PhD thesis on the compositional process of Wagner’s Lohengrin. To assist her research, she was awarded a DAAD German Government scholarship. This allowed her to travel to Germany to study in the archive in Bayreuth for 3 months. Here she had access to all of the sketches and drafts for Lohengrin that are housed in the archive vault, as well as the extensive archive library. In all, she examined over 2000 pages in the master’s handwriting. Her work compared and contrasted each of the compositional stages to gain an insight in Wagner’s working methods. Her talk will examine some of Wagner’s sketches and discuss his working practices. Kerry is a founding member of The Wagner Society in Queensland. Kerry is a busy full-time musician. 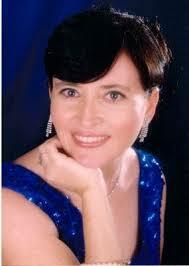 She examines all over Australia and Asia in piano, voice and percussion. She is the principal percussionist with the Brisbane Philharmonic Orchestra and Corda Spiritus of St Andrews and will compete with the Brisbane Excelsior Band at the National Band Championships in Sydney at Easter. She also sang with Opera Queensland for 10 seasons and had her own recital series for many years. In addition, Kerry maintains a busy teaching schedule working with students from beginners to Licentiate diploma level.